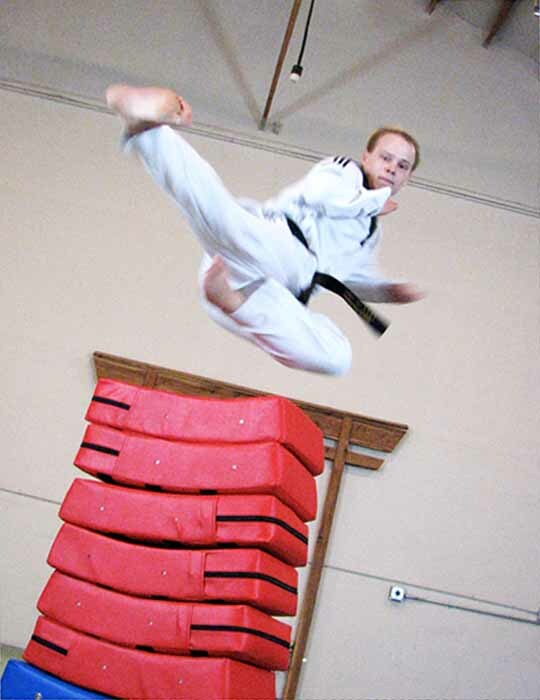 Nicholas Klinger began his martial arts training at six years old. Ever since he started practicing martial arts in 1994 he’s been constantly striving to get better at martial arts each and every time he practices. His passion for teaching martial arts started in 1999 when he volunteered to be an assistant instructor. After assisting in a variety of classes his instructor offered to let him teach his own class of beginning 4-6 year old kids in 2006. Shortly after Nicholas was given many more classes to teach of variety of ages and skill levels. When teaching Mr. Klinger gives his students a goal to become just a little bit better every practice and to never give up. There is nothing more rewarding for him than to help out his students so they can achieve their goals and become proficient in martial arts. Nicholas believes that practicing martial arts is a great way to gain many valuable life skills while having fun. Practicing martial arts takes dedication, but that dedication will pay off in your ability to defend yourself and also in everyday life. Mr. Klinger enjoys the self defense aspect of martial arts as well as the competition aspect of it and is constantly challenging himself to get better. As a way to further improve his understanding of self-defense strategy he also competes in tournaments of other martial arts that he doesn’t have as much experience in.